'Krauter Vesuvius' is similar to 'Thundercloud', but more upright and rounded. 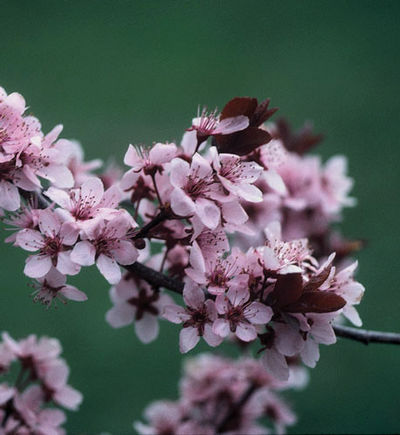 Light pink flowers appear in early spring before the deep purple leaves appear. Heat tolerant and adapts well to many soil types. Excellent for use in Japanese gardens, or a single specimen. We offer Krauter Vesuvius 1" to 1 1/2" caliper, 6' to 7' tall in a 15 gallon container.